Dragon Age: Inquisition, the third in the series, comes out Tuesday. And I have so much back content to play before I should really start the third game. Sigh. 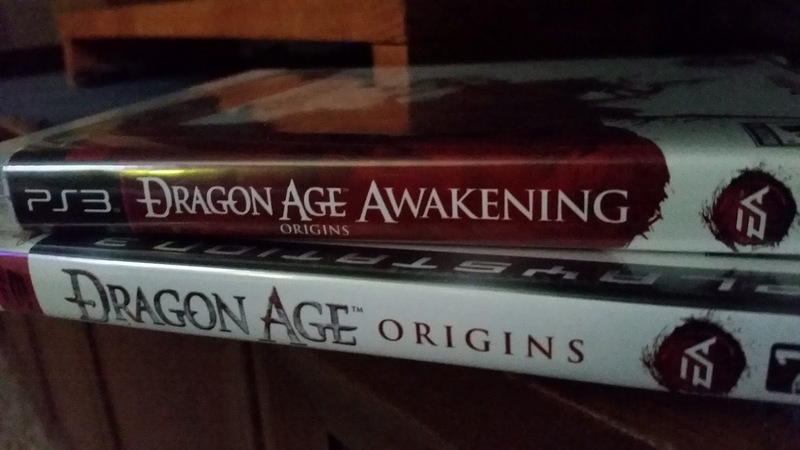 I've sat on Dragon Age: Origins, the first in the series, for a long time. Ever since a character I was romancing rejected me I figured the amusing witty conversations would stop and I kind of lost interest. Which is weird, because I love fantasy settings in pretty much every media. I was much more heavily compelled to complete all three Mass Effect games (made by the same company, but in space!) than finish up Origins and I hated my character's romance choice in the ME games. Well, I finally completed the first game last night. It probably would have been a much more satisfying ending if I'd not let three-ish years lapse between plays and kind of forgot what was going on. But it is still a really good game in it's own right. So I moved onto some extra content for the first game tonight, which is pretty amusing.